I hope you all are smiling and spreading the love!! Today in store for you is a very interesting and informative detail about how to empower women and help them find career opportunities. I am going to share or rather spread awareness about a women-oriented Community platform SHEROES that is exclusively a great platform for women. It’s a networking website where the only focus is to empower women and help them in all the fields. They have a dedicated team that works 24/7 for the benefits of women and helps them to find a suitable opportunity for jobs and networking. We live in a world where there are biased view about what women wants. Right from the birth all the decisions are taken by the family members about how to look, what profession to select, whom to marry and the list goes on. What women really want hardly anyone cares for. Well at Sheroes the main focus is how to help woman to deal with any kind of problems. The team is always ready to help, care and nourish with positive thoughts. They have a strong networking and community that is active and guides you in many ways. One of the best and the effective ways is through their community. Well there is more to Sheroes, the most interesting part that atracted me is the “Community Category”. The most interactive and useful community I personally found is “Cooking Recipes and more” Community that has more than 40,000 members. Women here are so active, creative and always ready to share and upload recipes of food they make. 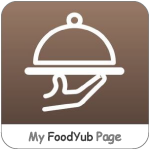 It is a platform wherein you can add, share, suggest and help fellow memebers by uploading a recipe, step-by-step recipe pictures or a video recipe and gain knowledge at the same time. The members of the community here are very responsive and always ready to revert back to your queries. Cooking is an art and you be as creative in cooking as you can be in other fields. Woman who wants to get creative in the kitchen do join this community and you will gain many new ideas and recipes. You can also participate and share your recipes with other woman and get creative. to know what it is all about. There are many communties like Art and craft, Travel-lets get away, Music and Dance, Home Decor, Automobiles and many such more helpful communites that are so interesting and full of information. You can join any community that may be of your interest and get regular updates on them. All the communites are very useful and you can easily and very comfortable share your problems, views and also ask queries to experts. In short you can say your heart out with Sheroes and share even your personal problems or any health issues or discuss and participate on any topic related to woman. There is also a private chat window available on the homepage where you can chat with the counselors. For applying job at Sheroes all you have to do is sign up which would not take more than a minute. Then fill in all your basic information just the way you do while applying for other jobs. That’s it. Then you can search the job that best suits you under career category. There are also job available to work from home. SHEROES is a women’s platform. SHEROES – Communities for Women, is safe and trusted space, where members discuss health, career, love and share their life stories, achievements and moments. SHEROES – a career destination for women professionals, committed to career success and individual work-life fit. SHEROES welcomes women professional across levels, stages and sectors to pro-actively access the largest OpportunityScape for women. Now Sheroes app is also available for Android users for free.